It can be challenging to find a weight loss solution that works for you. Many diet plans offer new and improved methods for losing weight often these enhanced techniques lack proper nutrition and are costly to bank accounts. However, finding alternatives ways to lose weight is not impossible. 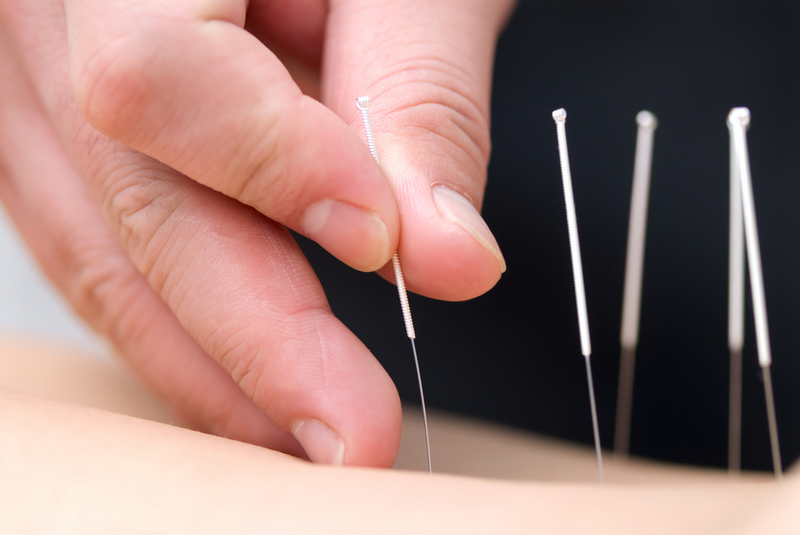 In recent years, acupuncture has been used as a weight loss procedure. But what exactly is acupuncture? In the body, there are two hormones called leptin and ghrelin. Ghrelin tells the body that you’re hungry while leptin notifies the body that you’re stuffed. When you have an acupuncture procedure, you’ll find that your appetite will decrease since the procedure will control your hormones. Therefore, you’ll feel full throughout the day and no longer need to eat calorie-packed snacks. Since you’ll no longer feel the need to eat, you’ll lose weight over time. Two of the primary locations for acupuncture if your trying to lose weight is the stomach and kidneys. Both places can improve your digestive system, and therefore, aid in alleviating constipation and additional digestive issues that contribute to weight gain. In addition, acupuncture can also balance your digestive system by enhancing your vitamin and mineral absorption. If you trigger the nerves in the kidneys and the endocrine system by having an acupuncture procedure, then you’re likely to lose water weight. Since stimulating the kidneys and the endocrine systems terminates water from absorbing into the body you’ll lose water weight which will help you lose weight overall. Therefore, by having an acupuncture procedure done on your kidneys and endocrine system your just one step away from losing the weight you want. Sometimes a person may get swelling in the gut, however for someone to lose weight that swelling needs to go down. Since swelling in the gut can change a person’s metabolism and hinder the rate of digestion. It’s best to alleviate the swelling before it gets worse, in fact, one cure for the swelling is acupuncture. When you receive an acupuncture procedure, you’ll feel better as your digestive process can happen at a faster rate after the procedure. In addition, since the swelling has gone down in your gut, you’ll be able to lose weight with ease. Hormones can help you lose weight too. However, some hormones may be imbalanced and therefore need to be stabilized. Having an acupuncture procedure can help stabilize your imbalanced hormones and assist your body with weight loss functions. Thus, acupuncture not only helps you lose weight but makes sure you keep it off while using natural remedies such as stabilizing hormones. Metabolism is vital for many weight loss programs and solutions. Some people have a low metabolism while others have a high metabolism. However, acupuncture can help you increase your metabolism since its primary function is to control metabolism. With that being said, the area that increases metabolism the most is the thyroid area. If you want to burn calories more effectively, why not investigate acupuncture for its metabolism benefits? Acupuncture can also improve your attitude. It’s known that after a workout or a physical activity endorphin is released which promote the feeling of positivity. In an acupuncture procedure, the same endorphins are released, therefore, making you feel happy. In combination with the other benefits, you’re less likely to binge eat or eat because of your emotions. Consequently, you’re more likely to lose weight and feel confident because of the acupuncture procedure. 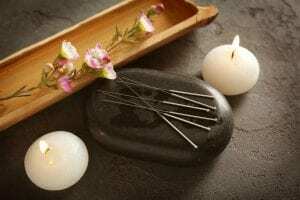 Due to the procedure of acupuncture tenderness is to be expected afterward. Some people don’t like feeling sore since they have other events to go to. However, tenderness is only expected to last a few hours. It’s advised that you plan and try not to schedule anything after your appointment especially if it’s your first session. After an acupuncture procedure, you might feel tired or even exhausted. It’s essential that you get some rest and that you don’t try to push yourself. You just put your body through a chemical ordeal it might be best if you just close your eyes and take the afternoon off. However, you shouldn’t always feel tired after an acupuncture session. After your body gets used to the procedure, your body should adjust accordingly. For many not seeing results in a timely fashion can be a drawback, but it takes time. To lose weight solely on acupuncture might not work. However, if you eat a well-balanced diet and maintain a daily exercise routine, you’re likely to see results. Although, the results you’ll see may not be in the timeframe you would expect. Since acupuncture foundation works off of the body’s chemical reactions, it can take up to three sessions to see results. Some people love acupuncture while others loathe the activity. Whether you like it or hate it, there are many benefits that company weight loss in this procedure. For example, a decrease in appetite, water weight, and swelling in the gut. However, like all procedure, there are side effects like tenderness, tiredness, and delayed results. But if you eat a healthy diet and continue an exercise routine, you should see results in no time. As always, if your concerned about the steps that are involved in an acupuncture procedure feel free to contact a healthcare professional today.